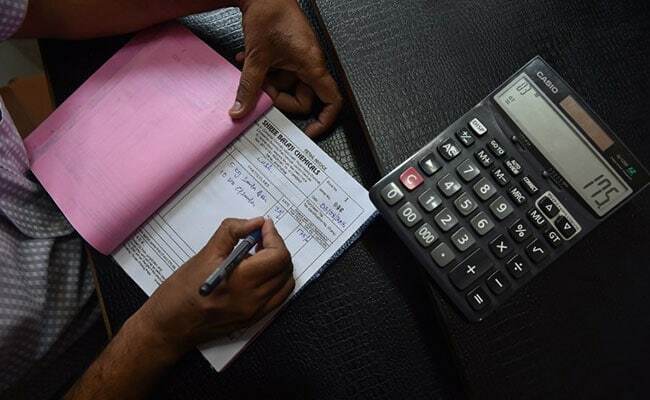 Srinagar: The GST Council today finalized tax rates on 80-90 per cent of goods and services under the four-slab structure with essential items of daily use being kept in the lowest bracket of 5 per cent. The Council, headed by Union Finance Minister Arun Jaitley and comprising representatives of all states, in the opening session of the two-day meeting also approved rules for the Goods and Services Tax (GST) regime that is scheduled to kick in from July 1. Official sources said that 80-90 per cent of the items have been fitted in 5, 12, 18 or 28 per cent brackets. The fitments, they said, have been done in a way that there is no increase in tax incidence. So rates close to the present incidence of excise duty plus VAT or service tax has been considered to be the rate under the GST. The complete details of the rates decided are likely to be available once the meeting gets over tomorrow. Various state finance ministers separately sought exemption on items like silk yarn, puja material and handicraft items. Jaitley was of the view that there should be minimum exemptions under the GST and should be provided for only if it is essential, a government official said. Before the start of the meeting, Kerala Finance Minister Thomas Isaac made a case for 5 per cent tax on gold under the GST regime instead of 1 per cent being demanded by some quarters as he felt that the precious metal is not an essential commodity. Yogi Adityanath-led Uttar Pradesh sought zero levy on ‘puja samagri’ instead of the proposed 18 per cent. A few others are keen on only two rates for service tax — 12 per cent and 18 per cent. The GST will be a national sales tax that will be levied on consumption of goods or use of services. It will replace 16 current levies — seven central taxes like excise duty and service tax and nine state taxes like VAT and entertainment tax — thereby creating India as one market with one tax rate. With the GST, India will join select league of nations with a goods and service tax. France was the first country to implement the GST in 1954. Since then, Germany, Italy, the UK, South Korea, Japan, Canada and Australia have been among the over a dozen nations which have implemented the GST. China implemented GST in 1994 while Russia did it in 1991. Saudi Arabia plans to do it in 2018. Last week, the Reserve Bank called the GST a “game changer” and said given the cross-country experience and empirical evidence on efficiency gains from the Value Added Tax (VAT) in the Indian context, the implementation of this comprehensive indirect tax is likely to ensure higher tax buoyancy and an improvement in government finances over the medium term.